Co-working: ‘it was the best of times, it was the worst of times’. Find out who for from CBRE’s flagship investor and tenant surveys. We recently completed two major global surveys. Both are global, both have over 1,000 responses, but from very different perspectives. One is of investors and the other of tenants in buildings CBRE manage. For the first time this year, we included several questions about co-working. The results reveal a wide spectrum of opinion both between investors and tenants, and within these groups. Globally, there are distinct differences in attitude towards co-working between the three regions. In the Americas, tenants and investors are warier of co-working. In Asia Pacific, they are much more positive. European respondents tend to be somewhere in between. From tenants, there is clear demand for more flexibility. 57% of office tenants want some form of flexible space (co-working, serviced offices or shorter-term leases). In Asia Pacific, this increased to 83%. Some sectors are keener than others. Legal services have little interest in co-working. Yet 72% of tech sector tenants say some form of flexible space would be valuable. We do not find that the cost of flexible space is generally an issue. The percentage of respondents who feel that co-working is too expensive is far outweighed by those who believe they are cost-effective in achieving flexibility. By contrast, only 17% of investors are introducing flexible space into their portfolio. This could be through providing it themselves, or leasing space to an operating partner. This is despite almost a third of investors viewing co-working as the future of office work. Investors are also nervous of how much co-working space they introduce. Most see 0-20% of a building as the maximum they would allocate before property values start to fall. In terms of location, investors are similarly cautious. When asked where co-working operators are most likely to succeed, investors are pessimistic about fringe locations and second-tier cities. Only prime locations in gateway cities are seen as likely to work for co-working operators. 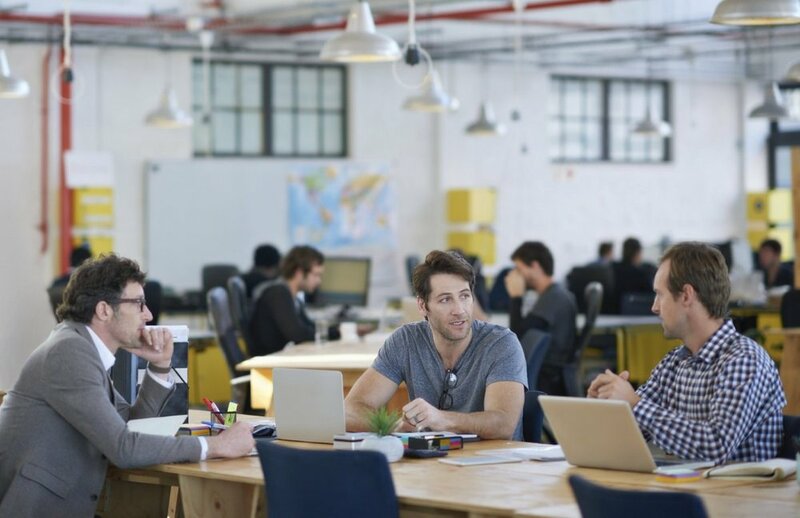 Despite this, investors generally agree that co-working can be good for their bottom line. Only 7% see co-working as a threat to rental values, and 8% as a potential credit risk. Although DeskMag’s 2018 Co-working Survey shows that most co-working providers are not yet profitable, investors are optimistic that they can make money in the long run. So we see there is growing appetite for flexible space. Although landlords are waking up to this, most are unsure how to respond. A minority are actively partnering with operators. While supply catches up with demand, we see occupiers increasingly experiment with fit-out to cater for flexible working within existing office space. The growth of activity-based working is one example. For key insights from the two surveys and how they compare watch the video here.